What to do if you forgot your password. 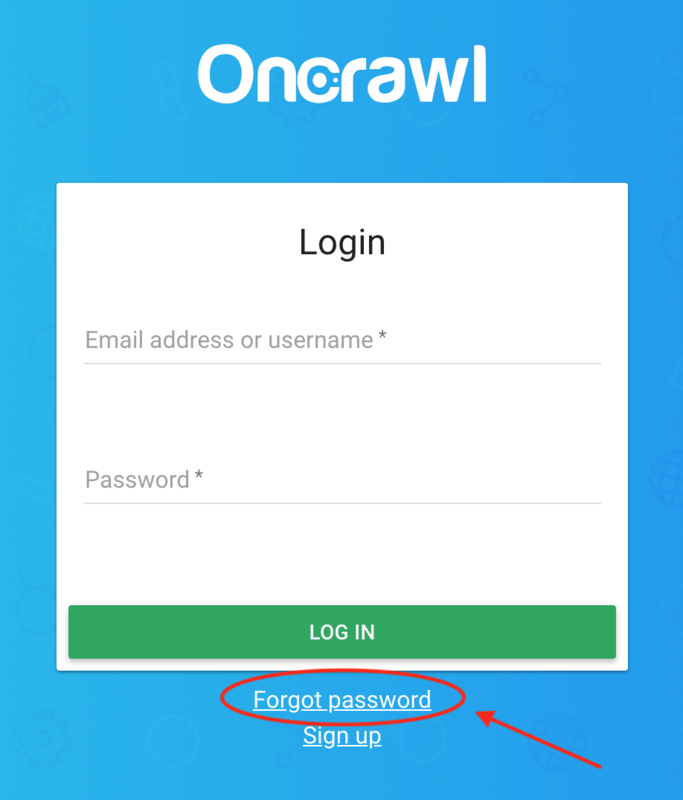 You can recover a lost password from the OnCrawl log in screen. You will need to know the email address or the username associated with your account. Tip: if you're already logged in, you can find your username and email address in the account information. Click on your profile at the top right of the screen and choose "Account" from the menu that appears. Your username and email are listed in the first section, next to your profile image. If you're logged in, log out. (Click on your profile at the top right of the screen and choose "Log out" from the menu that appears.) This will take you to the login screen. 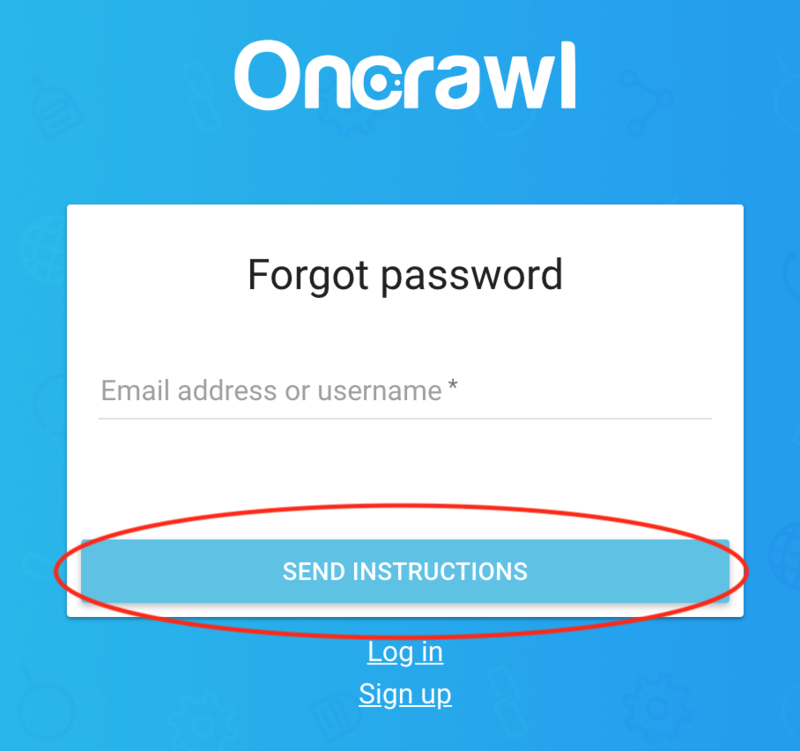 From the login screen at https://app.oncrawl.com, Click "Forgot password" below the login form. Check your email and follow the instructions to set a new password.